We continue to trade between the resistance areas 31.3 & 30 and the support area at 26-27. 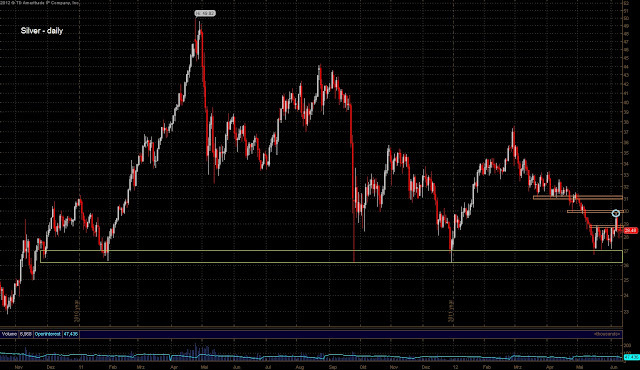 As long as we remain between these levels I'm neutral on silver (medium-term). The medium-term and possibly even the long-term trend is back to bullish if 31.3ish is breached. If 26 is broken the medium-term is bearish again and we could decline to 20 $.